The founding of Jamestown, America’s first permanent English colony, in 1607 sparked a series of cultural encounters that helped shape the nation and the world. The government, language, customs, beliefs and aspirations of these early Virginians are all part of the United States’ heritage today. The 400th anniversary of this seminal event in American history was commemorated throughout 2007 with major events, exhibits and educational programs, for which Jamestown Settlement served as one of the Commonwealth of Virginia’s principal stages. 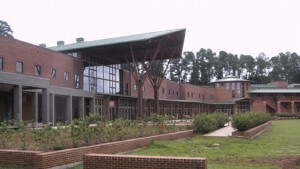 In 2007, new permanent exhibits, a new introductory film and revitalized living-history areas at Jamestown Settlement presented the story of 17th-century Virginia and its Powhatan Indian, English and western central African cultural origins, drawing on a wealth of historical information that has been revealed by archaeological and documentary research of the past decade. “The World of 1607,” a special exhibition showcasing 17th-century Virginia in a global context and featuring rare treasures on loan from major museums and international collections, opened on April 27, 2007 as a signature event of Jamestown 2007. Jamestown Settlement was a central participant in America’s Anniversary Weekend on May 11-13, 2007, and presented special interpretive programming throughout the year in support of monthly themes. Just 20 miles away from where America’s firstpermanent English colony was established, America’s independence was won at the 1781 Siege of Yorktown, the last major military engagement of the American Revolution. 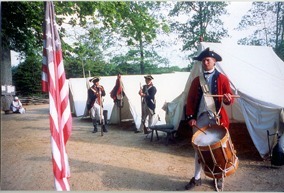 The 225th anniversary of this momentous American victory was commemorated in 2006. The The American Revolution Museum at Yorktown participated in a town-wide Yorktown 225th anniversary, October 19-22, 2006, and opened “The Legacy of Yorktown: Virginia Beckons,” an exhibition chronicling immigration to Virginia from before the 1607 founding of Jamestown to modern times.